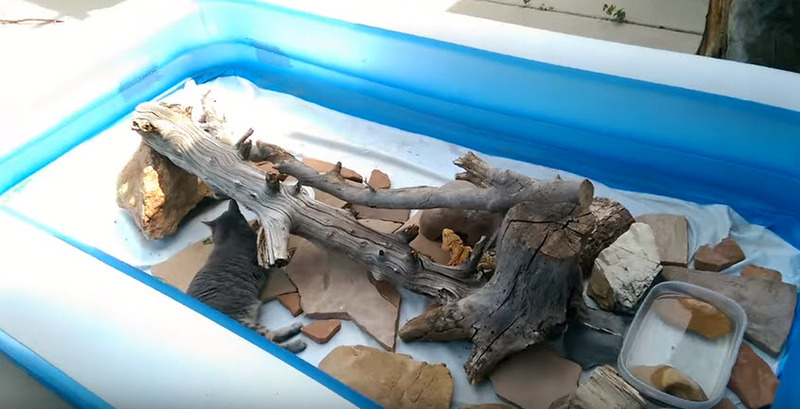 Use an inflatable pool as an outdoor enclosure for your bearded dragon! Get an inflatable pool that is made of a thick material and blow it up. Put some rocks, tree branches, and a water dish in the pool for your pet to enjoy. Put a hide in the pool to provide some shade if needed, or cover part of the pool with a blanket or towel. If you live in an area with birds of prey, consider laying a piece of screen over the top of the pool to protect your lizard.